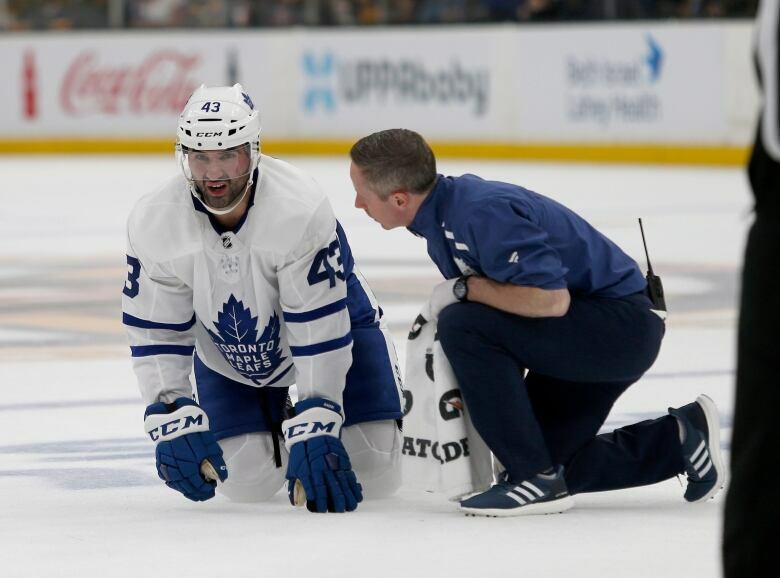 Nazem Kadri was suspended three games last playoffs for an illegal hit. One year later, on those same sideboards, the Maple Leafs centre is facing another ban after cross-checking Bruins forward Jake DeBrusk in the face. 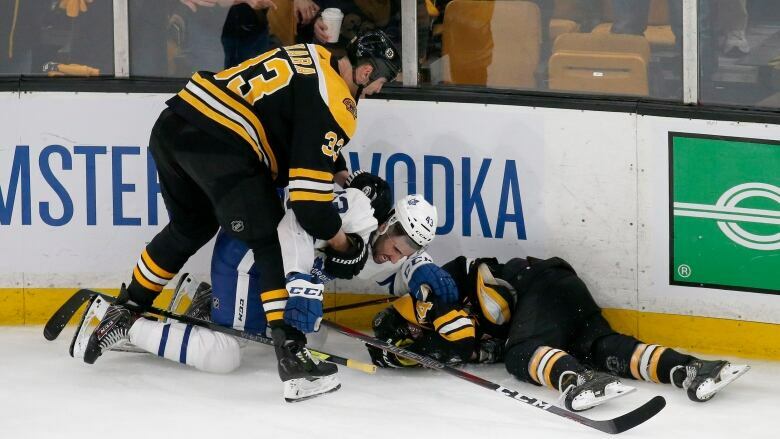 Kadri's incident was reminiscent of a year ago when he took a run at a defenceless Boston forward Tommy Wingels in the series opener at the same spot along the sideboards. Kadri was suspended for three games for his actions last spring. As a repeat offender, he faces a similar suspension as the Maple Leafs head home for Games 3 and 4. The centre will have an in-person hearing with NHL Player Safety on Monday afternoon in New York City, leaving open the possibility of a ban longer than five games. Other than goalie Frederik Andersen, who was brilliant in this lopsided affair, Kadri was the Maple Leafs' best player. He was intense and physical. Most of his teammates did not follow his lead. But after the clunker they put forth in the series opener, the Bruins returned to what they do best. They played with intensity and determination — and they were opportunistic in taking advantage of the Maple Leafs' mistakes. Toronto defenceman Jake Muzzin, who was so good in the Maple Leafs' 4-1 victory on Thursday, failed to knock down a pass with his right hand at Toronto's blue line on a play that led to Brad Marchand's goal late in the first period. About the only thing that went wrong for Boston was defenceman Torey Krug being forced out of the game in the second period when Muzzin knocked him into the side boards. Krug missed six games with a concussion last month and the Bruins' blue line already was thin with injuries to John Moore and Kevan Miller. The loss of Krug would be massive to the Bruins' cause. He's a risk taker and an important part of the Bruins power play. If the Maple Leafs lose Kadri for three more games, he would be missed, too. Don't forget Toronto dropped two of the three outings he was suspended for a year ago.